Nominations are now open for The Scottish Gamekeepers Association’s inaugural Ronnie Rose Award, with a special trophy to be presented at Moy Highland Field Sports Fair next month. The award was set up in memory of the acclaimed Scottish wildlife manager and author from Eskdalemuir in the Scottish Borders. A new, specially designed trophy will be presented to an individual whose management has made a lasting contribution to conservation, habitat, species management or rural education on river, low ground, hill or forest. Having already attracted a number of strong entries, the judging panel expect a tough task in selecting the winner when the nominations officially close on Monday 27th July. Ronnie, who sadly passed away at his home in Eskdalemuir last December, was a central figure in the SGA’s development. A passionate advocate of the work of wildlife managers in enhancing and caring for Scotland’s natural heritage, Ronnie’s pioneering principles of forest design saw him oversee a 300% increase in bird species in the forests of Eskdalemuir. The award in his name has also been set up as part of the SGA’s Year of the Rural Worker programme which aims to highlight the valuable contribution rural workers in Scotland make to their communities. Earlier this month, Inverness-shire youngster Duncan Seaton was announced as the 2015 SGA Young Gamekeeper of the Year. SGA Chairman Alex Hogg said, “We have already had some strong nominations at our Head Office in Perth which is great. We would like to encourage more before the deadline. “It is clear that the judging panel are going to have a really difficult job picking the winner, with nominations from all over the country so far. “Ronnie was a true giant. Wildlife management was his life and many of his ideas are now staples of forestry best practice. Throughout his 50 year career, Ronnie Rose, whose father and grandfather were both Head Stalkers at Balmoral, received many conservation awards including the Balfour Brown Trophy for Humane and Sustainable Management of Deer. 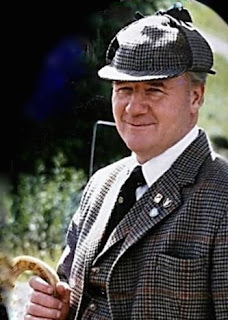 He helped establish the Queen Elizabeth Forest Park in Loch Lomond and his pioneering work for Economic Forestry Group Scotland at Eskdalemuir is a permanent legacy to his stewardship. His book Working with Nature: The Conservation and Management of Scottish Wildlife is still widely read and appreciated today. Individuals nominated for the award, which closes on 27th July, should be experienced practitioners. Anyone wishing to nominate is being asked to send an email to info@scottishgamekeepers.co.uk or phone The SGA office on 01738 587515. Information required is the name of the person nominated and the reasons why they are deserving of the award. Those making the nominations should also include their own name, relationship to the person, and contact details.